Americans are not living in a very happy place right now. There are looming threats to an already problematic health care system. Wages have been stagnant for decades and two-income families struggle to keep their heads above water. Meanwhile, the 1% are making off like bandits. A spate of bad weather phenomena is making us uneasy about the developing apocalyptic dimensions of climate change. The American Dream seems to be slipping through our fingers. There are many and complex reasons for these problems, but today I will focus on an issue that goes to the core of our unhappiness—consumerism. Seventy percent of our economy is driven by consumerism and the American consumer and the American economy supports a substantial proportion of the world's economy through our exports and imports. There are two main problems with consumerism. First, our poor planet can't sustain the high levels of consumption in America and the rest of the developed economies. We are destroying the very fabric of our existence as we contaminate our air and water. We engage in ever riskier means of obtaining oil and gas; runoff of fertilizers, pesticides and herbicides pollute our streams and rivers; and we are contemplating an open pit mine in northern Wisconsin that will destroy an entire watershed feeding into Lake Superior and sustaining an Indian tribe. The second major problem with consumerism is its very premise---you can buy your way to happiness This runs contrary to every form of perennial wisdom. “Can't buy me love!” the Beatles sang. Why is consumerism so powerful? Again, there are many and complex reasons but, as I see it, there are two outstanding factors. The first major problem is the corporation as the dominant economic form. Corporations are given the rights of a person but international corporations are often more powerful than people's governments as they suppress worker's rights and environmental standards in the name of greater profits. Corporations are amoral at best; they have no concern for any children or grandchildren let alone the seventh generation. Their only concern is with making a profit for the shareholders in their quarterly reports, and most of the shareholders are very wealthy people. The second major reason for consumerism is the empty, meaningless lives most people live. True, a good portion of this arises from being constantly bombarded with the message that consumption will make us happy. This cultivates a narcissism which undercuts a basic human need—the need for intimacy and a sense of community. Research has show that beyond a modest income and adequate amounts of food, clothing, and shelter, plus decent health care, the most important elements in a happy life are the time to cultivate good relationships with family and friends, pursue topics of personal interest, and involvement with community affairs. Before the age of television, working men, and it was mostly men, used their evenings to engage in political discussion and community activities. There are many, including the renowned Swiss psychiatrist Carl Jung, who maintain that the most important need for humans is to have a sense of meaning and purpose in one's life. “Man cannot stand a meaningless life,” Jung said. (Jung 1977, p. 439) Religions and the great spiritual and philosophical traditions have forever facilitated and guided humans in the quest for meaning and purpose. Many modern men and women no longer feel contained within these forms; they are what Jung said are modern men and women in search of a soul. There are two central concepts in individuation/soul-making. The first is what I call an ecology of the psyche, an important aspect of ecopsychology. Ecopsychology is a new and important field of that began to emerge in the mid 90s. It studies how our attitudes, values, perceptions and behaviors affect our relationship with the environment. It calls for a new relationship to our inner world and a re-formulation of our social, economic, educational, political and spiritual systems which will enable us to live sustainably. 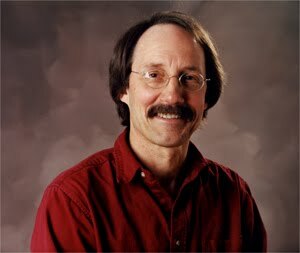 I call ecopsychology the psychology of ecology and the ecology of psychology. 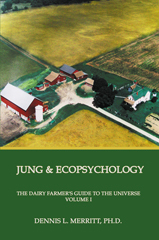 It is the subject of the four volumes of my books, The Dairy Farmer's Guide to the Universe—Jung, Hermes, and Ecopsychology. An ecology of the psyche is best illustrated by thinking of a dream that we are in along with several other people. Our dream ego is closest to our conscious ego state. But who are all those other people? They are, and are more than, parts of ourselves. They can represent aspects of ourselves that we can't stand and which we project out onto others, thereby proceeding to belittle and persecute them. They can be aspects of ourselves that are positive potentials which we recognize and envy in others. They are often people of our opposite and complementary psychological types: if we are a strong thinking type we may dream of a strong feeling type person; if we are a strong introvert, we will probably dream of a lot of extroverts and being in extroverted situations like public places and larger gathering of people. We should think of ourselves as a walking tribe composed of our ego and all those little people within. Our challenge is to be in good relationships with the “little people within.” How well we relate to them is how well we are related to others in our waking state. The process of individuation is dependent on developing a good Ego-Self axis, best illustrated by the Chinese glyph, or picture-word, for the Sage—“The ear listening to the Inner King,” the Inner King or Queen being the Self in this case. How does one connect with the Sage and develop a relationship with it? Dream work is an excellent way and many Self images come through dreams. Psychotherapy and psychoanalysis with an approach that works with symbols are also good ways. So is meditation, deep reflection, intensive journaling, artistic and creative expression, and following personally meaningful spiritual and religious traditions. The antidote to consumerism and an important aspect of living sustainably is to cultivate a simple life and carve out the time to spend with family and friends and soul-generating activities. It is not that “time is money” but what you spend your time on indicates what your values are, what you value. Just remember all those priceless things that credit cards can't buy. Noise is certainly only one of the evils of our time, though perhaps the most obtrusive. The others are the gramophone, the radio, and now the blight of television...We must now add the nerve-shattering din of our modern gadgetry...Fear seeks noisy company and pandemonium to scare away the demons…Noise, like large crowds, gives a feeling of security…Noise protects us from painful reflection, it scatters our anxious dreams, it assures us that we are all in the same boat and creating such a racket that nobody will dare to attack us. Jung, C. The Collected Works of C. G. Jung [CW]. 2nd ed. H. Read, M. Fordham, G. Adler and W. McGuire, eds. R.F.C. Hull, trans. Princeton University Press: Princeton, NJ. CW 7. 1966. Two Essays on Analytical Psychology. CW 18. 1976. The Symbolic Life: Miscellaneous Writings. Ed. 1964. Man and His Symbols. Doubleday and Co.: Garden City, NY. 1976. Letters. Vol. 2. 1951-1961. Gerhard Adler and Aniela Jaffe, eds. R. F. C. Hull, trans. Routledge & Kegan Paul: London. 1977. C. G. Jung Speaking: Interviews and Encounters. W. McGuire and R. F. C. Hull, eds. Princeton University Press: Princeton, NJ. 1984. Dream Analysis: Notes of the Seminar Given in 1928-1930 by C. G. Jung. W. McGuire, ed. Princeton University Press: Princeton. Merritt, D. L. The Dairy Farmer's Guide to the Universe, Fisher King Press: Carmel, CA. 2012. 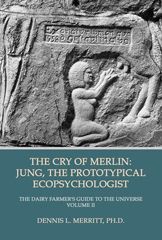 Volume 2: The Cry of Merlin: Jung, The Prototypical Ecopsychologist. 2012. 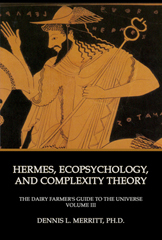 Volume 3: Hermes, Ecopsychology, and Complexity Theory. 2013. 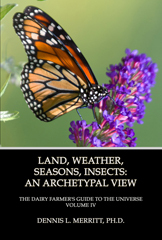 Volume 4: Land, Weather, Seasons, Insects: An Archetypal View. Sabini, M. 2002. The Earth has a Soul: The Nature Writings of C. G. Jung. North Atlantic Books: Berkeley, CA.